Thank you to all the mums and dads and grown ups that came to watch the Giant’s in their first whole school performance at the Harvest Festival on Wednesday. They all sat very smartly and quietly watching the other children perform their pieces and joined in with the singing beautifully. We performed our own song ‘Busy Farmer Ben’ who had lots of ploughing and sowing to do, driving around in his tractor! The Giant’s joined in with the words and actions, I’m sure they made you all very proud! 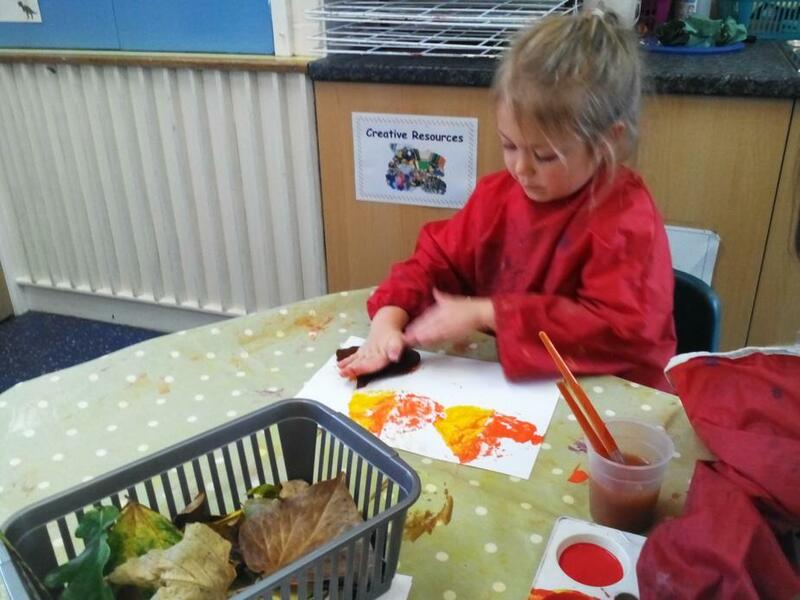 We’ve had another busy week of learning in Giant class and have been looking out for more signs of autumn. 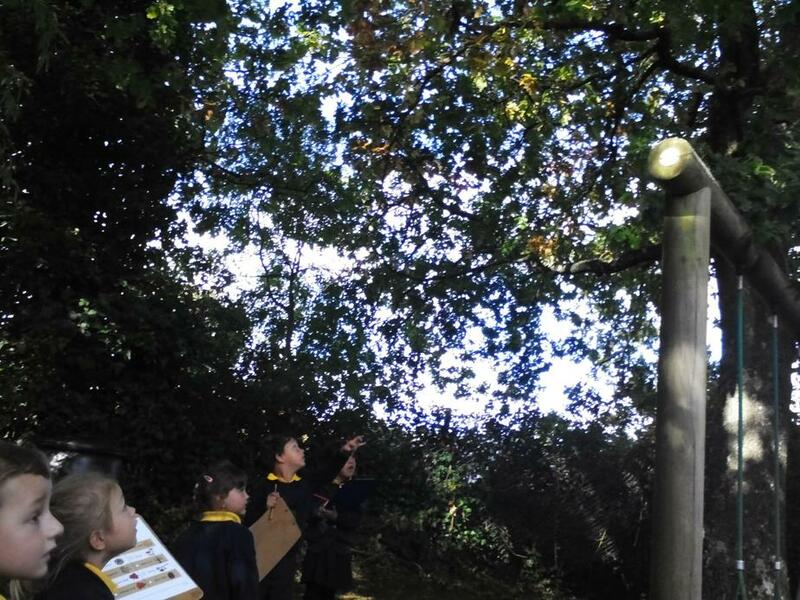 On Wednesday we went up to the peace garden on an ‘Autumn Hunt’. 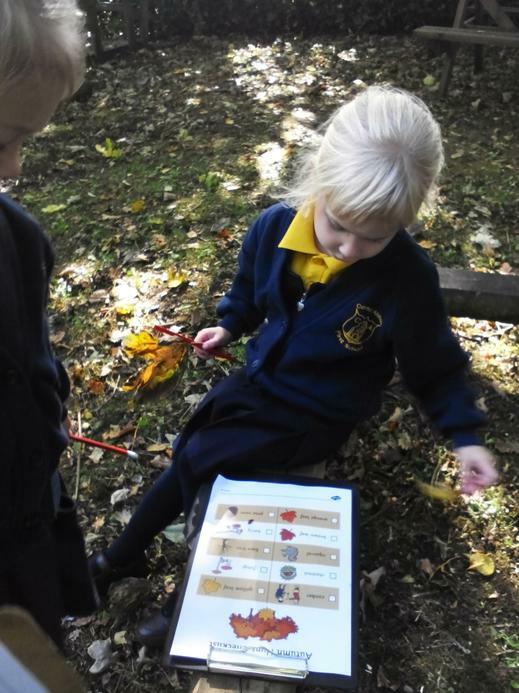 We were looking for orange, yellow and brown leaves, conkers, chestnuts, pine cones, berries and squirrels. We thought we saw a squirrel in the branches right at the top of the tree! 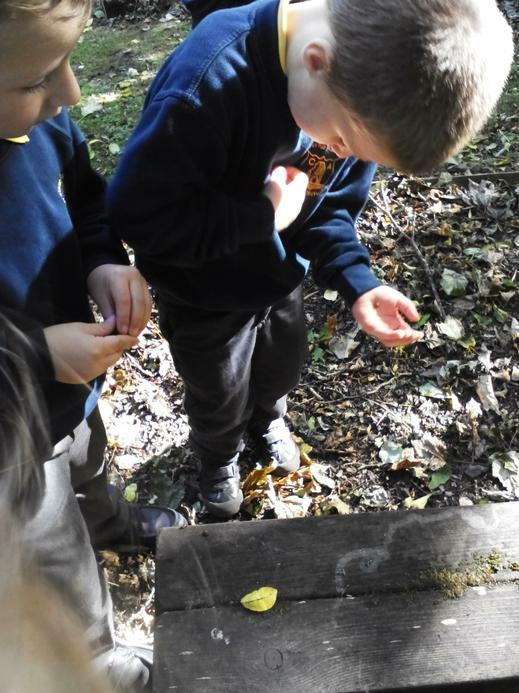 We stood and watched very quietly to see if it would move. Super hunting, Giants! 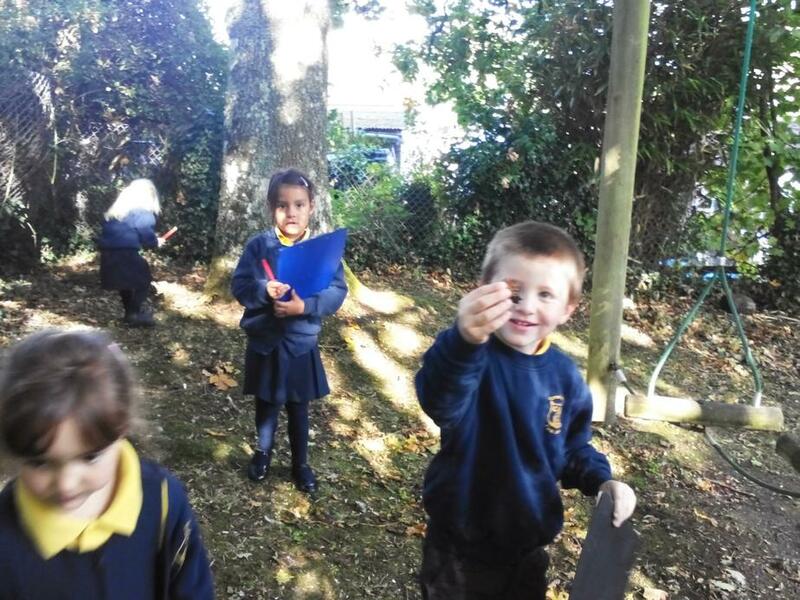 We also collected lots of different autumn leaves. 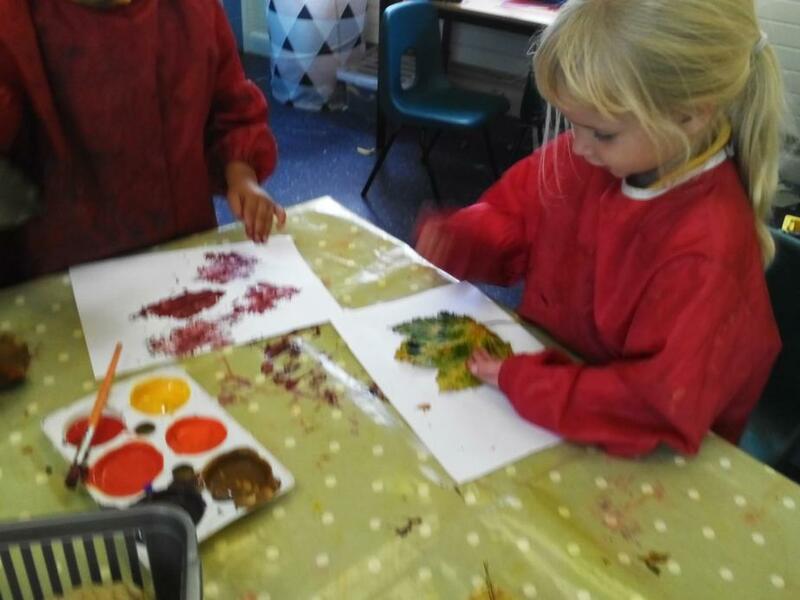 Back in the classroom we looked closely at the patterns and colours. 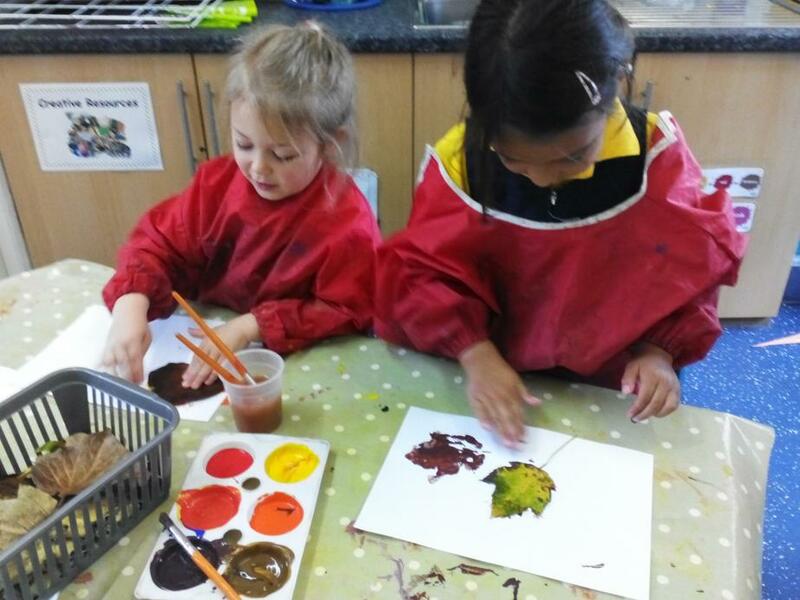 We painted the leaves and made our own leaf prints. We could see the shapes and lines of the veins in our prints. 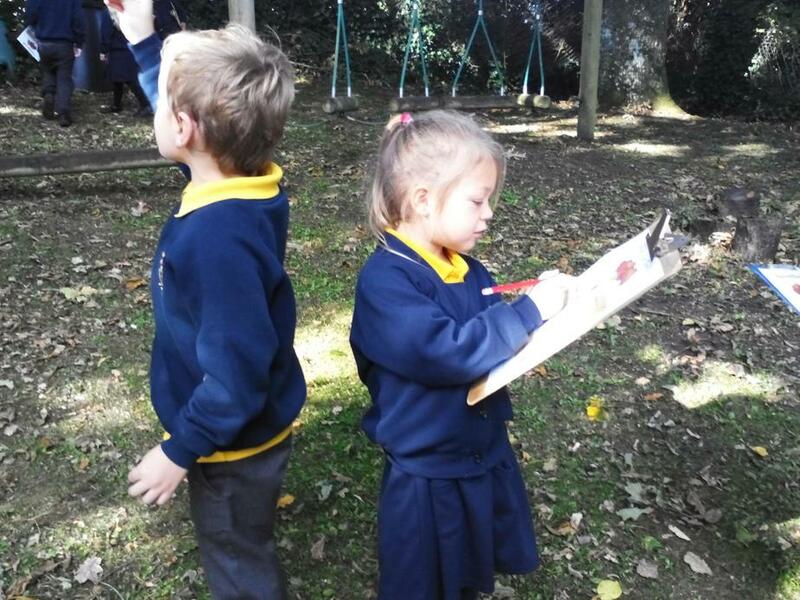 Well done for all your hard work and learning this week Giants! I hope you have a restful few days, ready for an exciting new week. We are very much looking forward to inviting our families into school for our learning exposure next Wednesday and showing off all our fantastic learning!